Rent our rink! 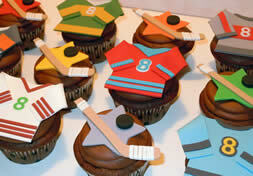 Need a birthday party space or a rink for a tournament? Whatever your needs, we can help. For more information, ! We can assist with up-to-the-minute availability and pricing. Mark Bavis loved hockey. He started skating at the tender age of 4 and started shooting goals shortly after. His identical twin brother Mike also enjoyed the game and the two practiced and played together in minor hockey and then for their high school team, the Catholic Memorial Knights. Mark and Mike helped the Knights win three state championships. In college, Mark played for the Boston University Terriers and played in the NCAA Tournament four times with three trips to the semi-finals and one championship game against Northern Michigan in 1991. The championship game went into triple-overtime, but ended in an 8-7 win for Michigan. After college, Mark played in the American Hockey League for three years as a ninth-round draft pick for the New York Rangers. Later, he played for the South Carolina Stingrays for two years, where he and Mike became teammates again the first year. This would be the last time the two played together professionally. Mike eventually went on to become an assistant hockey coach at Boston University. After leaving the Stingrays, Mark turned to coaching and eventually landed jobs as assistant coach for Brown University and then Harvard. Of the latter, he said, "I'm very excited to have the opportunity to be at one of the best institutions for academics and hockey in this country." 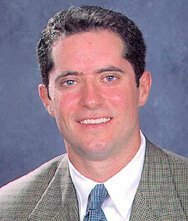 Mark's work at Harvard eventually earned him the notice of the Chicago Freeze, a North American Hockey League team, who made him an assistant coach in 1999. 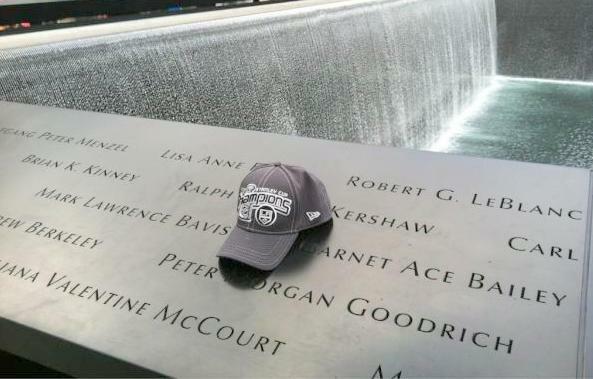 Then in 2000, Mark was hired by the Los Angeles Kings as an assistant scout under hockey great Garnet "Ace" Bailey. On September 11th, 2001, Mark and Garnet were traveling together aboard United Flight 175, which crashed into the South Tower of the World Trade Center at 9:03 a.m. Eastern. At Mark's memorial mass on September 19th, Mike spoke of Mark's deepening faith, his plans to enroll in law school, and their love for each other. "We had an unspoken love. We spent so much time together. I knew how he felt and he knew how I felt." Mike spoke of when he became a father for the first time, saying, "Nothing was like the day I saw my brother holding my son, Jack." And of the fateful events surrounding Mark's death, Mike stated, "It makes me feel good that my brother was with Ace. We need courage to face what happened, as a family and as a country. We need to return to life as it was on September 10th. I'm going to be out there again. And I'm going to be flying by plane... trying to figure out a way to beat BC. In no way am I going to let the people involved in this think they got me twice." Mark's legacy did not die with him, however. During his days playing and coaching, he mentored many young hockey players. Mark worked for both the Massachusetts USA Satellite Program (where he eventually was named the program director) and the International Hockey Academy. He also opened a hockey summer camp of his own in Canton, Massachusetts, which helped children both athletically and academically. His work now lives on with the Mark Bavis Leadership Foundation, which was founded by his family and friends. The Foundation provides annual grants to help young people with tuition, summer programs and appropriate extracurricular activities so as to better themselves as well as their schools and communities. 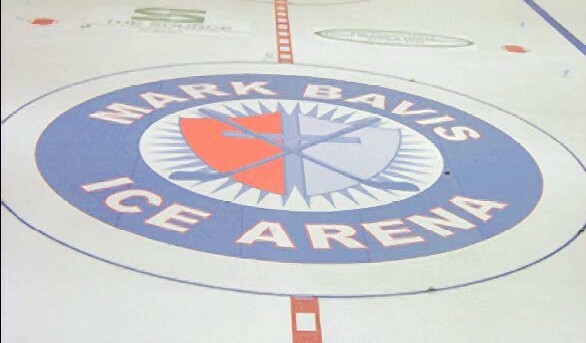 Additionally, Kevin O’Sullivan, an old friend and Catholic Memorial teammate, recently opened a sports complex in memory of Mark: the Mark Bavis Ice Arena in Rockland, Massachusetts. The complex features two ice surfaces, a turf field, 5 locker rooms, 5 party rooms (where kids can enjoy sports-themed birthday parties), a lounge with a big-screen TV, a meeting room and a pro shop. Mark was preceded in death by a brother and his father. He is survived by his twin brother, Mike; his mother, Mary; two other brothers, Pat and Johnny; and three sisters, Kelly, Mary Ellen and Kathy. Additional information and photos about Mark can be found on the Mark Bavis Leadership Foundation website.